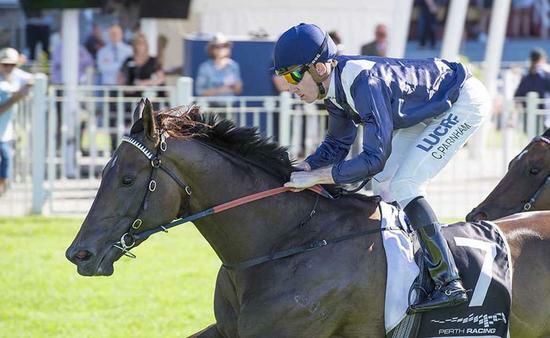 Trevor Andrews retains firm belief that his talented filly Private Dancer can spoil the party and cause an upset in the Group 3 WA Oaks (2400m) at Ascot. Friar Fox, prepared by Justine Erkelens, will carry the hopes of many punters in Saturday’s $250,000 WA Oaks and is the TAB’s raging $1.85 favourite. Friar Fox validated favouritism for the three-year-old classic after she launched a powerful turn-of-foot to win the Listed Natasha Stakes (2200m). The Blackfriars filly, who has won three of her past four starts, reaffirmed her claims for the WA Oaks after drawing barrier six in the field of 16. Experienced jockey, Shaun O’Donnell, in line to collect his third WA Oaks triumph, retains the mount. Private Dancer, a winner of the Listed Challenge Stakes (1500m) in March, will have to contend with barrier 11. Andrews believes a wide gate cost Private Dancer when she ran fifth to Friar Fox in the Natasha Stakes two weeks ago. She closed out the race ran in the second fastest final 600m, but couldn’t bridge the gap from last and was beaten 4 ¼ lengths. Andrews insists Private Dancer has the class and ability to turn the tables and exact revenge on Friar Fox. The top trainer said he will instruct jockey Jarrad Noske to go forward on Private Dancer. “She has been luckless with gates at her past three starts,” Andrews said. “Last start we were forced to ride her quiet to run out the trip. “Her sectionals were great and she got home real good. “She went wide on the corner and her sectionals were just as good as Friar Fox. “In wanted to go into the race with a good barrier, but that’s not the case. “We will be positive and take her forward. “Hopefully get one off the fence and hope Friar Fox gets held up for a run. “My filly is as tough as they come and will be in for a dog fight. “I think she is the best filly in the brace with respect to Friar Fox. At $8.50 Private Dancer and Friar Fox are currently the only Oaks runners in single figures.